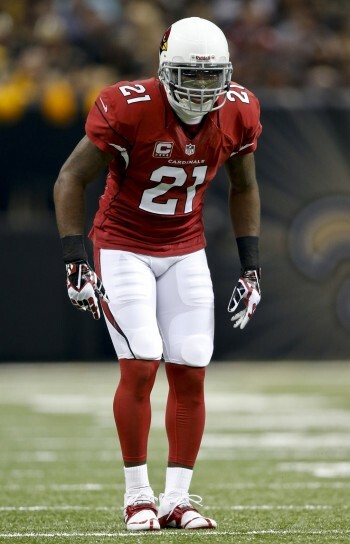 A trade of star cornerback Patrick Peterson is “not happening,” Cardinals president Michael Bidwill tells Ian Rapoport of NFL.com (on Twitter). Many expect the Cardinals to engage as sellers before the Oct. 30 trade deadline, but Peterson is apparently off limits. Other clubs, unsure of the Cardinals’ intentions or future plans, have tried to pry P2 away from Arizona. At least one other team inquired about his availability, Rapoport hears, but were met a flat-out no. Peterson’s place in Arizona appears to be safe, but the same cannot be said for other Cardinals players or coaches. The Cardinals are 1-5 heading into Thursday night’s game against the Broncos, and changes are certain to be made if they come up short. A fun fact to keep in mind: the 1970 Bengals are the only team in the NFL’s Super Bowl era to ever made the playoffs after starting the year 1-6. Fitz deserves to be traded to a contender so he has a chance to win before he hangs it up. Why hold onto a 30 year old CB? Because he’s 28 years old and still playing at a high level. The 1970 Bengals rank among the worst division winners ever. Sure they won their last 7 regular season games but the opponents they faced during that stretch had a combined record of 25-53-6.